You’d Be Mine follows Annie Mathers, the daughter of two country music rockstars who died tragically when she was a kid. Clay Coolidge is a country music bad boy, but when his drinking gets him into trouble, he needs Annie to join him on tour to get back on the label’s good side. But as fans talk and sparks fly, Annie must decide whether she should follow her heart and risk ending up like her parents, or play it safe and focus on her career as a rising star. I’m absolute trash for books involving famous singers and actors, and this book is no exception. I love the look behind the scenes, of what it’s like being on tour and constantly on the move. This book is truly unique in that it also highlights the culture of country music, a culture that I admit, I typically avoided. However, You’d Be Minecompletely changed my opinion of it. It’s view on country music, artists, and the fans made me appreciate more than I ever thought I could. From the small country farms to the crowded concerts, I found myself immersed in every scene and location. So, I expected this book to be fun and summery, and while it definitely is, Erin Hahn packed so much more into this story. It tackled a lot of subjects I really didn’t expect (alcoholism, addiction, grief, and trauma), and handles them all extremely well. I was 100% not prepared for the emotional rollercoaster this book took me on, but I’m so grateful for it. The pace itself was fast, with plenty of drama and angst to keep you sucked in. And the writing was both fun and witty, while allowing for dark and emotional moments. All of the characters in this book were well developed and interesting. No one seemed flat or boring, I found myself invested in all of their lives. Naturally, Annie and Clay stood out. They were both so deep and captivating, with notable flaws. Their development and individual arcs were amazing to watch. They both have a lot of issues to work through, and this book never shies away from it, nor does it offer a “quick fix”. I especially love that no one is fixed by being loved or falling in love and that they actually have to put in the work to heal and grow. Cons- If you don’t like country music, this will make you like country music. Beware. 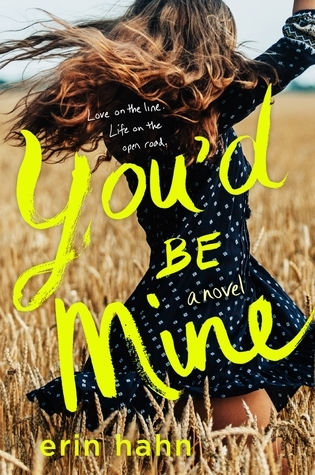 You’d Be Mine is a charming read that is perfect for the summer months! You won’t want to miss this amazing debut!